During the 2018 show season, the Dalby State High School Cattle Show Team became the first school to win the interschool competition at CRT FarmFest, Toogoolawah Show, the Brisbane Ekka and Elders Hoof and Hook, all in the same year! Winning these 4 major competitions was an outstanding achievement for the school. 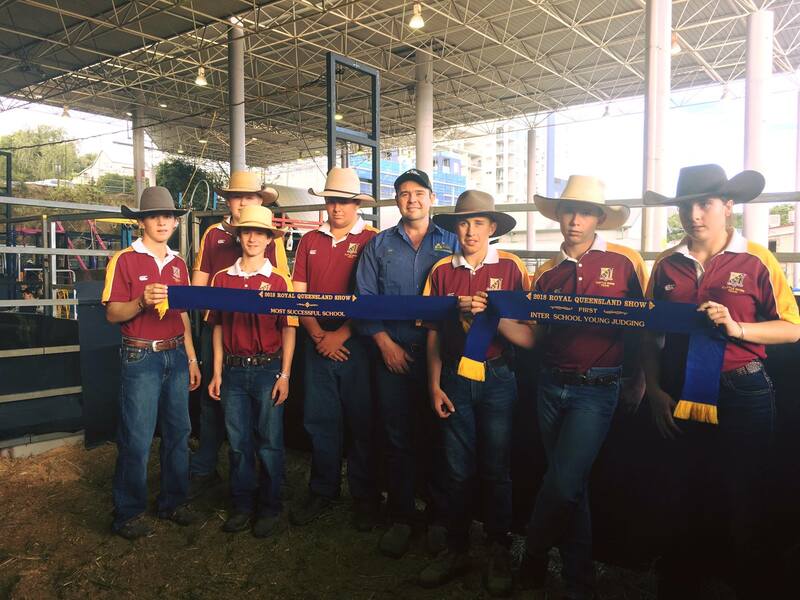 They were very successful with their Junior Judging, as students were awarded 1st and 2nd place at the Brisbane Ekka and their team of judges won the interschool competition at the Ekka and at Elders Hoof and Hook. Throughout the year they have had fantastic results with their cattle, winning Champion and Reserve Champion Led Steer at Toogoolawah Show and Elders Hoof and Hook, as well as many placings at local shows around the district. It was also wonderful to see the students have individual success at the shows this season - their hard work and dedication certainly doesn’t go unnoticed! Congratulations must also go to the staff, for their dedication to the success of the team. Overall it has been an extremely successful year for the students and they can’t wait to see what next year brings. As a local agricultural business, we see the potential in these young agriculture students and we are very glad to be able to assist them in their future endeavours. Dalby Rural Supplies is proud to be a major sponsor of the DSHS Cattle Show Team and support the future of our local cattle industry. For the farmer, for the future. If you would like some help with your cattle requirements or if you would like to see our range of products, pop in and see myself or one of our Merchandise team in store, email myself via ben@dalbyruralsupplies.com.au or contact us by phoning (07) 46600400.